The system automatically checks your profile for new uploads. When you post a new tweet, it will automatically start receiving likes from us in about 5-30 minutes! The system automatically checks your profile for new uploads. When you post a new tweet, it will automatically start receiving retweets from us in about 5-30 minutes! This service automatically, starts immediately after ordering. Twitter Followers MIX. Speed 1-10k in a day. Twitter has been around for more than 10 years, but it still holds a leading position among the social networks used a means of promotion. Comfort, convenience and, most importantly, the effectiveness of the message were evaluated and actively used by well-known politicians, entertainers, athletes, businessmen and public figures. 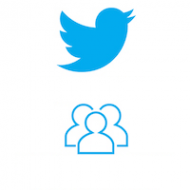 Information capabilities of Twitter allow you to effectively use it for promotion. It's enough to have you tweeted by other Twitter users of this social network. Business people are offered to buy posting tweets with free text. There is no need to install additional programs of questionable content, and our service does not require you to provide personal information. Our promotion algorithm is simple, reliable and secure. Go to the appropriate page and fill in the selected fields with a tweet text and the number of participants who will post tweets. Pay for the relevant posting service using your most convenient electronic payment system. Our service is distinguished by the ability to buy tweets from real users. Owners of existing accounts do the posting for a reward, and therefore, they treat the issue responsibly. Tweet volume of not more than 130 characters will be performed at a speed of 100-300 publications per day. 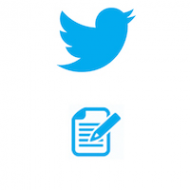 Quick tweets of up to 140 characters will be published by users living in the country you specify. This will allow you to reach a specific target audience. The technical support can provide you with a report on this service at your request. If you are engaged in the Twitter promotion of the Inteet project or use it to expand the business, this method allows you to buy tweets for the site by placing a link to it in the ordered text. This is a powerful promotion tool that allows you to effectively influence potential customers. Bloggers will be interested in buying tweets to ensure coverage of Twitter users. Even for ordinary users, our offer will be interesting, because it promotes the growth of interest to your personal account and to the events that you want to share on Twitter.